Far removed from the days of food policing, modern nutritionists spend their days counseling clients toward lifestyle changes, creating balance, bettering health, eating for disease prevention or management, and healing fragile relationships with food. So in the spirit of National Nutrition Month, we asked nutritionists to share the one health habit they can’t live without. This might seem like an obvious step to living healthily, but it really is so important! “I schedule my workouts like an appointment and say no to anything that competed with the time commitment,” says dietitian Jen Barr. “I always make time for a good, slow breakfast. I try and take 20 minutes to enjoy my breakfast and have a cup of coffee while I have quiet time without any phone or devices in front of me,” says dietitian and chef Whitney Reist. She says starting her day with a calm, collected breakfast sets her up to be positive and productive in what could otherwise be lazy morning hours. 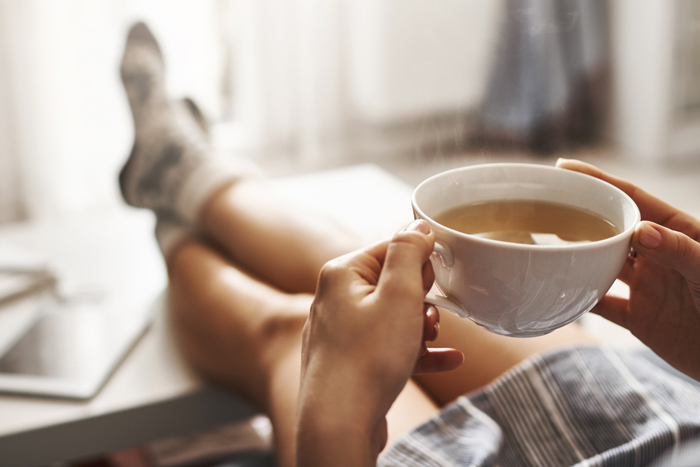 In school or work, constant tasks can quickly wear us down, but taking the time for regular breaks can bring a bit of calm back to the chaos. Dietitian and author Katey Davidson finds that active or social breaks can pay off over time. “When you return to your project or task, you come in with a clear mind and this can significantly decrease the time needed to finish it,” she says. An easy habit to incorporate into your health routine is adding turmeric to your diet. Here are eight easy ways to eat more turmeric.